Are the big, bad baggers of old suited for the next generation of riders? It’s a beautiful 70 degrees with scattered, fluffy clouds and Carlos Santana’s The Calling bellowing from the sound system. I’m cruising down State Street with a friend in downtown Santa Barbara, California in a cushy Cadillac of sorts...except it’s only got two wheels, and it’s classier than a Coupe DeVille. Never in my life have I felt this at ease—not to mention old-school cool—on a motorcycle as I do right now, riding an Indian Chieftain Elite with my buddy alongside on an Indian Springfield Dark Horse. I had borrowed this yin-and-yang pair of baggers to see if they could challenge a generational stereotype, that young people don’t like so-called dad bikes. That remains to be seen, but they’re already making converts out of hybrid-driving Californians, who keep craning their necks to admire the glittery and murdered-out machines wherever we go. There is no denying the beauty of these bikes. They are made for weekend warriors, pavement pounders, and those seeking grand excursions. Allow me another analogy, given the surroundings: these baggers are almost like the motorcycle form of marijuana. Riding one is like smoking a joint without actually doing so, because the feeling is that much more relaxing than the whirling frenzy found between most handlebars. But before we dive in, I should be transparent and admit that I’ve never really liked the whole bagger or full dresser touring motorcycle genre. My unrelenting bias tells me these bikes are big, heavy, ostentatious, slow, and just kind of silly. I want to pilot fighter jets, not cargo planes—but I also want to see if I’m wrong at any given chance. So hold those clucking “kids these days” remarks, because I learned a lot about the value of the Chieftain Elite and the Springfield Dark Horse in today’s riding culture, and I enjoyed my time in the saddle immensely. Not sure I’m ready to trade in my Triumph Tiger 800 XC, though. 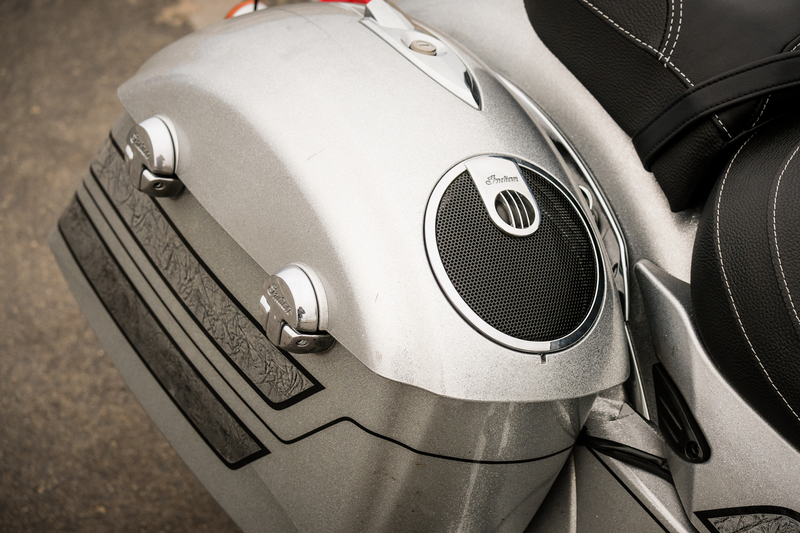 The Indian Chieftain Elite is at home on the highway and the 200-watt 4 speaker sound system surrounds you in an acoustic cone of happiness. When the Chieftain Elite and Springfield Dark Horse arrived at my door looking like Jekyll and Hyde, I had just finished reviewing and riding the KTM 1290 Super Adventure S, a motorcycle that embodies every single thing I love about life on two wheels. In fact, it might just be my all-time favorite motorcycle, the one I would purchase this second if money were no object. Needless to say, I dreaded the swap. At first, I was completely hung up on the vast differences between the KTM and the Indians. They may be in diametrically opposed classes, but both are at the upper echelon of motorcycle ownership. Yet you’re paying even more for the bagger twins, bikes that are slower, heavier, simpler, and less powerful than the new apple of my eye. Why spring for it? Comfort and classic styling, that’s about all I could summon. At first. Every motorcycle has its place in the world, but nothing quite compares to the combined value of adventure bikes. 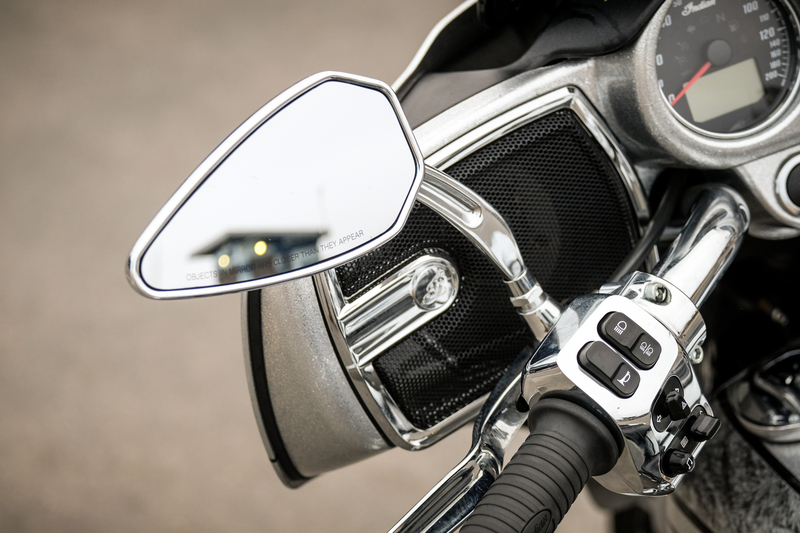 The Indian Chieftain Elite is an easy bike to like, with a full front fairing, navigation, cruise control, an electronically-adjustable windshield, and keyless ignition. The Elite separates itself from lesser Chieftains in the lineup by including a 200-watt, four-speaker sound system, pinnacle mirrors, LED Pathfinder headlights, and an “Elite” and a unique silver-flake paint job that takes over 25 hours to apply and would make any hard-working American jealous. All in, the Chieftain Elite comes in at $31,499. That’s a steep price and not one I could fully justify when the Chieftain Limited is $7,000 cheaper and comes with many of the same essentials. 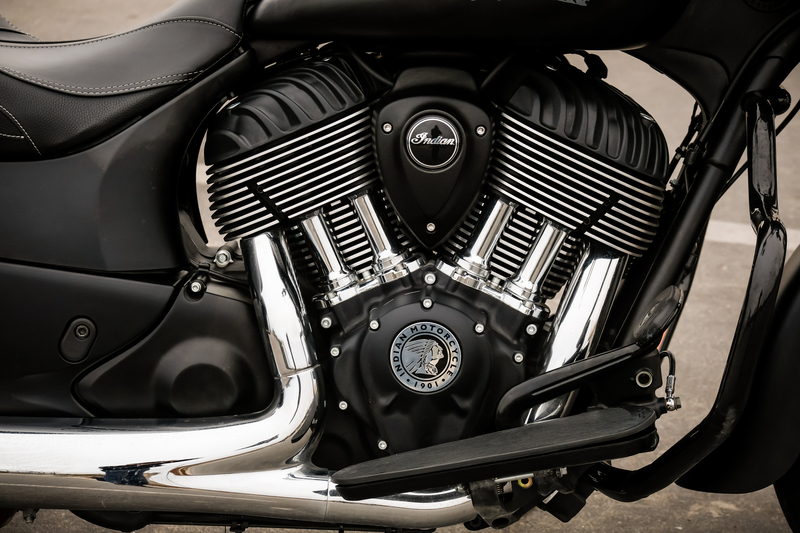 The Springfield Dark Horse ($20,999) is the Chieftain’s brooding, stripped-down, goth sibling that embodies a roadster vibe while including the same lockable hard cases and powerplant as the Chieftain. The detachable windscreen makes it perfect for city cruising but adds a viable option for long hauls on the highway. Both Indians feel perfectly at home along a scenic highway. The ride becomes less about performance and more about the environment—and there is some true beauty in that. Around Los Angeles, the Chieftain Elite and Springfield Dark Horse whip around like bikes half their size. Technical turns and slow-speed maneuvers take a little extra effort, but the engineers at Indian did an excellent job hiding the heft with responsive steering. 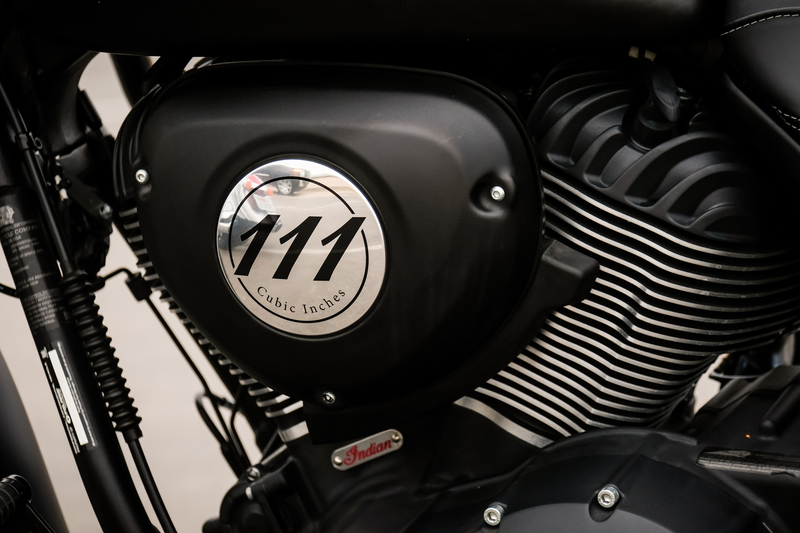 Of course, the 119 pound-feet of torque from the 111 cubic-inch Thunder Stroke V-twin engine propels those 850-pound bodies from a standstill to road speeds effortlessly. Power delivery is smooth and grin-inducing. 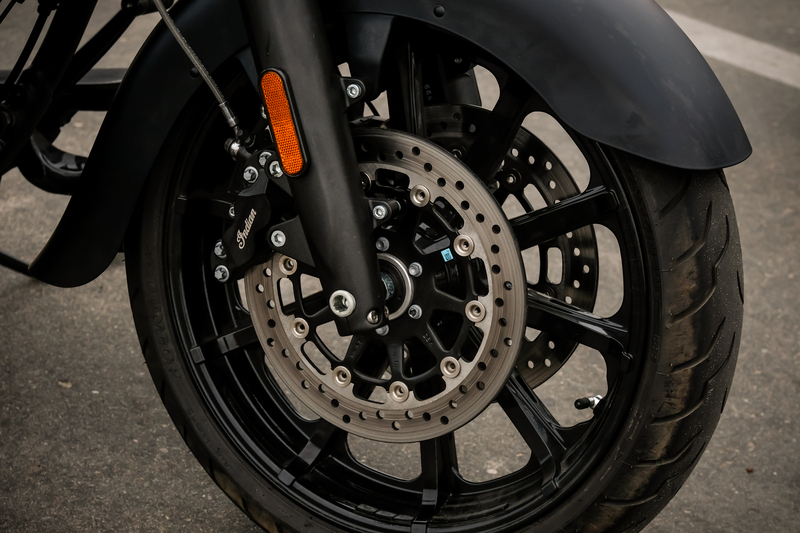 Dump the clutch in first gear and each bike will do a burnout before hooking up and rocketing forward. But baggers are made for consuming countless miles of ribboned and straight tarmac, so I also spent three days and just over 1,300 miles on the mighty touring machines during a whirlwind trip to Northern California and back. 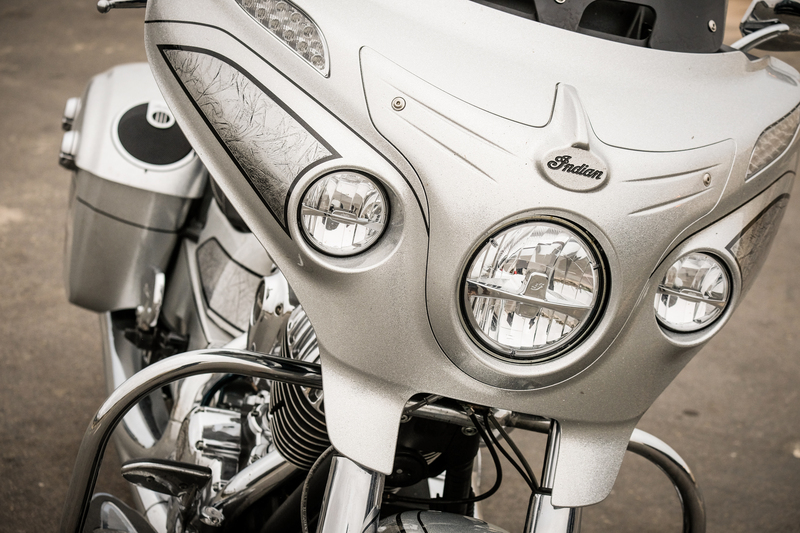 Out on the open road, there is a lot to like about the Chieftain Elite. 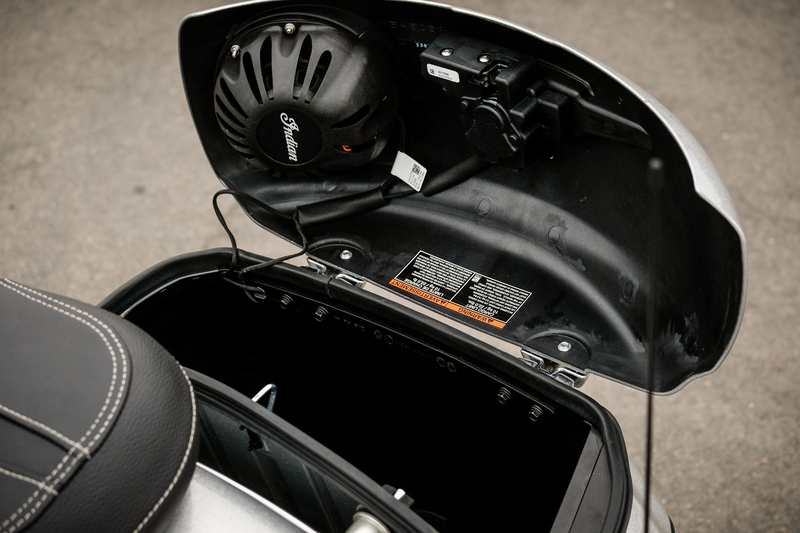 Wind protection and minimal buffeting from the front fairing is unmatched by any other genre of motorcycle. With the windshield in its highest setting, the Chieftain Elite simply slices through the elements and wraps me in a cocoon of undisturbed air with surprisingly little noise. I was quite impressed. It’s better on the highway than any adventure motorcycle I’ve ridden. 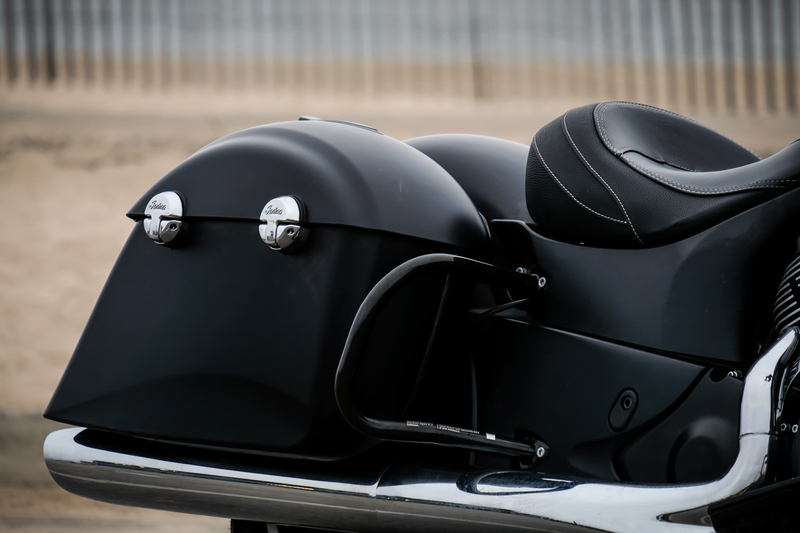 The Chieftain Elite's Front Fairing makes long rides a joy. Coupled with tunes, a smooth pulling engine, and plush suspension, I understand why so many people like these bikes. 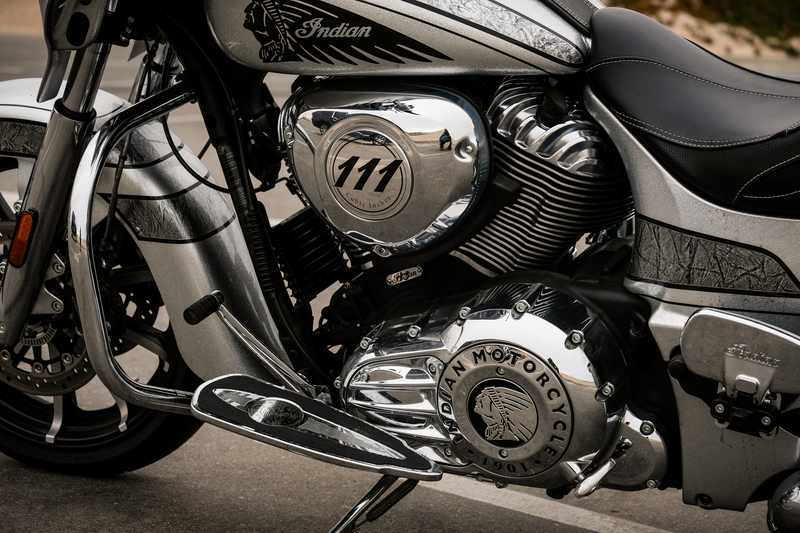 The Dark Horse doesn’t feel as luxurious as the Chieftain Elite, though the finish and design are exceptional. I love the all black, murdered-out styling. Handling and responsiveness are nearly identical; however, the ergonomics are slightly different. 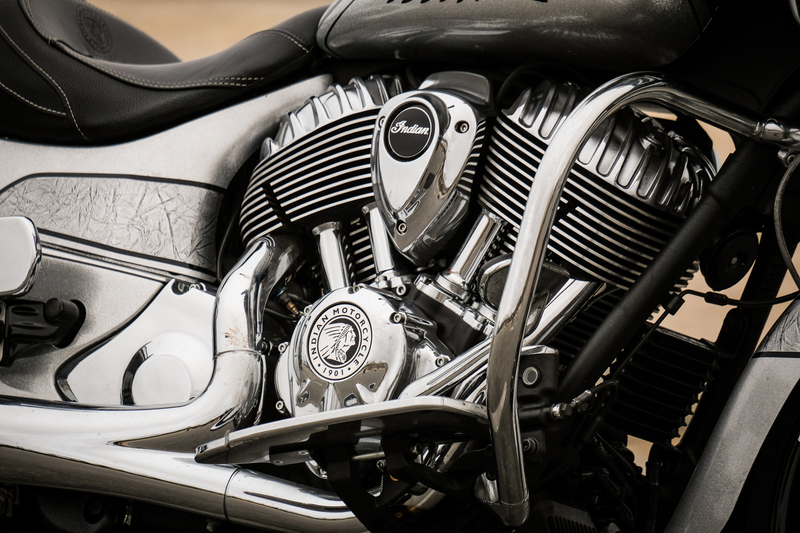 The handlebars sweep back and drop down lower than the Chieftain Elite and as a result, the ride feels more relaxed and naked by comparison. 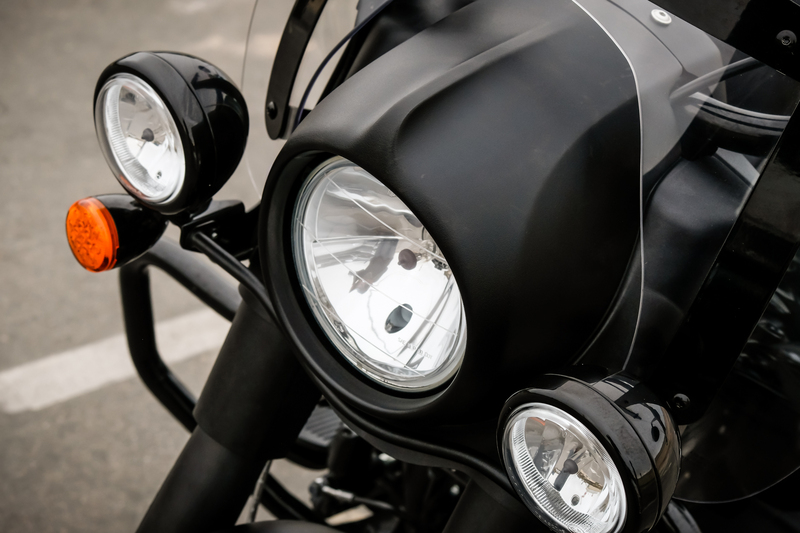 The Dark Horse's detachable windscreen blocks a ton of wind on longer rides but not to the full extent of the Chieftain's full fairing. Another slight and noticeable difference is the rubber-dampened floorboards which reduce vibration and fatigue over the long haul. Highway 17 in Santa Cruz didn't stand a chance against us and the two Indians. The plush saddle, spacious floorboards, and supple suspension solidify the stereotype that these bikes are essentially La-Z-Boys on two wheels. And in sixth gear, the Chieftain Elite cruises along the highway with minimal vibration, allowing one to just enjoy the ride and take in the surroundings. 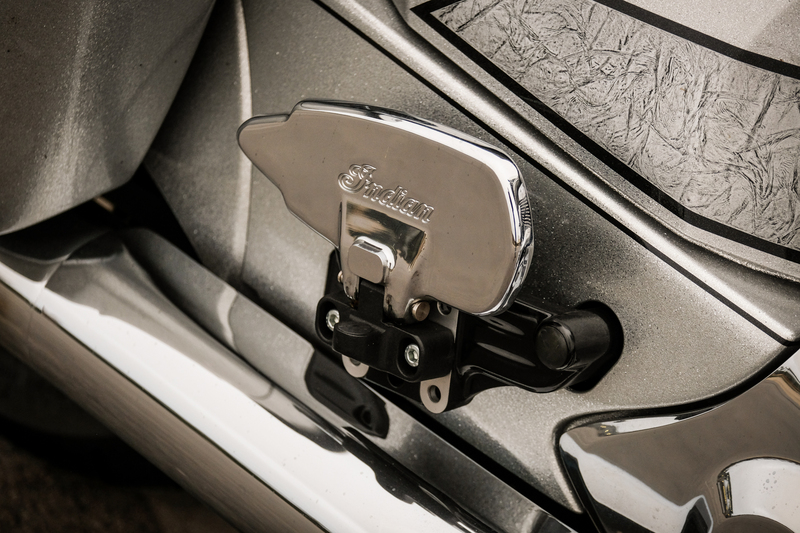 Throttle pull is so easy and light it’s almost unnecessary to use the cruise control system, even for 200-plus-mile trips. I'm a tall guy, and as a result I make the Chieftain Elite look small. That's going to be a problem for tall riders. I managed to enjoy riding both bikes but after 4 hours the riding position had me squirming. As much as I’ve fallen in love with the Chieftain Elite, the Springfield Dark Horse has me balking. Its price makes it difficult to swallow especially as it comes with so few amenities. It almost feels like you are paying for the weight of materials that have gone into each machine and the "lifestyle" than anything else. Each of these motorcycles tout comfort for long distance but for individuals like myself who are north of six feet tall, both the Dark Horse and Chieftain Elite will become cramped after four hours of riding. 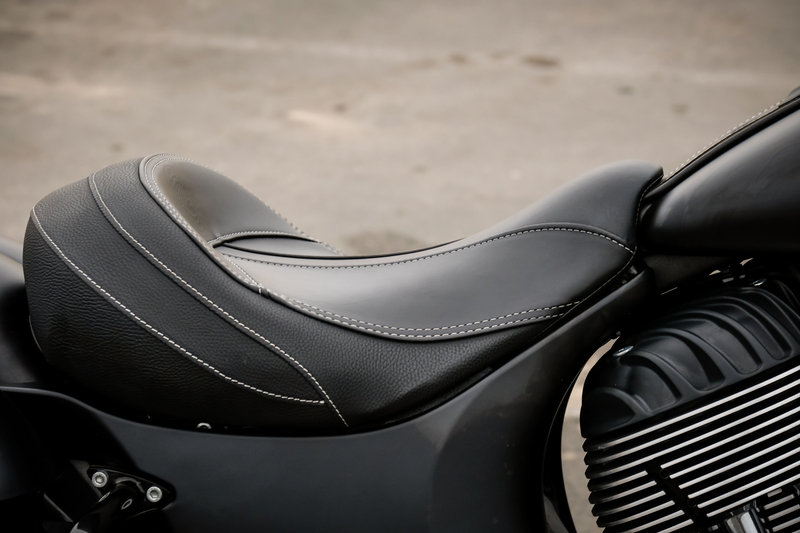 The low seat height of 26 inches and forward controls situate much of the rider's weight on the tailbone and for tall folks, there is no remedy. The GPS navigation system is clunky and on a number of occasions when I was alerted to find a gas station, the system would try to divert me in the opposite direction or way out of the way to fill up. The fact that the Chieftain Elite doesn’t come standard with heated hand grips is beyond unacceptable for something with a $30k-plus price tag. And while both bikes pull strong in each gear with a noticeable “chunk” between shifts, I found the transmission to be a bit clunky with a number of missed shifts between first to second gear. 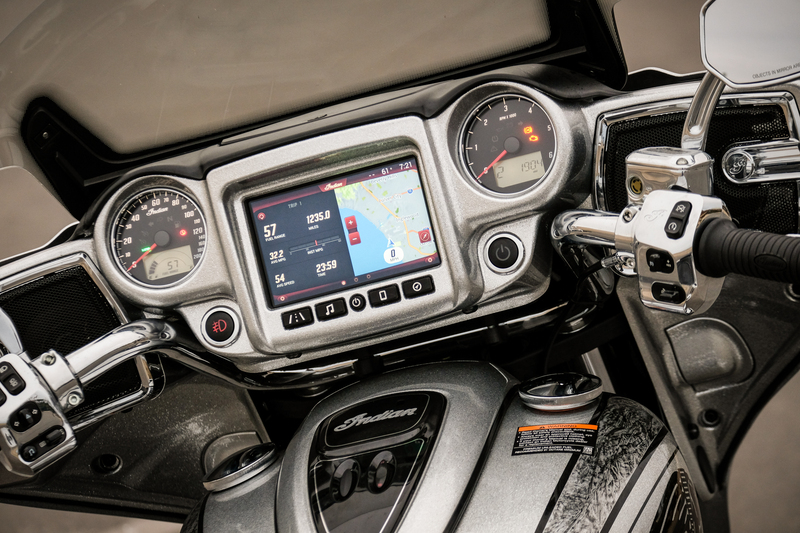 The navigation system can also take a bit of acclimation, though it’s responsive with gloved fingers and its customizable split-screen setup is a nice touch. Still, with Honda moving to Apple CarPlay and Android Auto in the new Gold Wing, it would have been nice to see Indian do the same. There is nothing quite like annoying or receiving stout approval from people walking down the sidewalk on a Tuesday morning when they hear Santana blasting from a motorcycle. Rolling down State Street in Santa Barbara, one could see and feel the admiration of tourists on our weekday excursion. Some wished we would disappear, but it was obvious that many more wished they were in our little convoy. In the end, it just made me feel good; these bikes make you feel like you've "arrived," that you have achieved a level of opulence and cool only dreamed about since you were in college and high school. 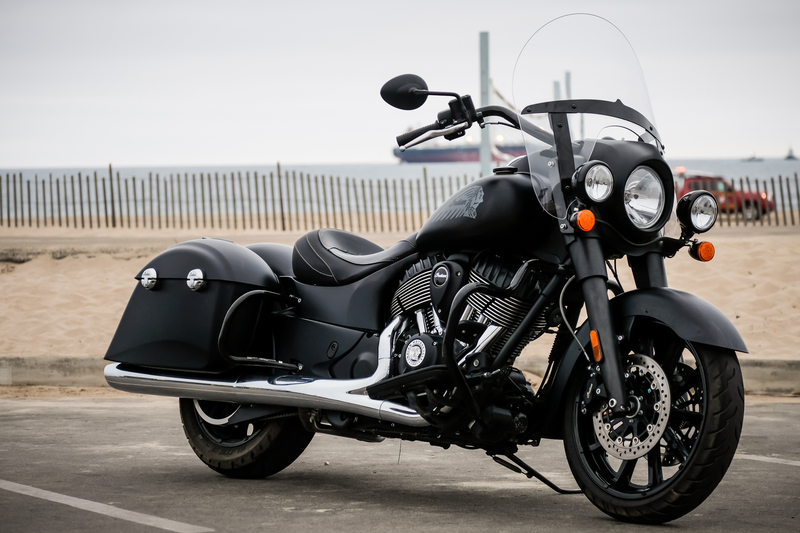 At the end of the day, if you want a bagger or touring motorcycle, it’s hard to ignore the Indian lineup. Both of these motorcycles impressed me enough to put aside a lot of my biases about this genre of motorcycle. I was able to see the world through a new lens and even began appreciating other baggers I saw out on the road. 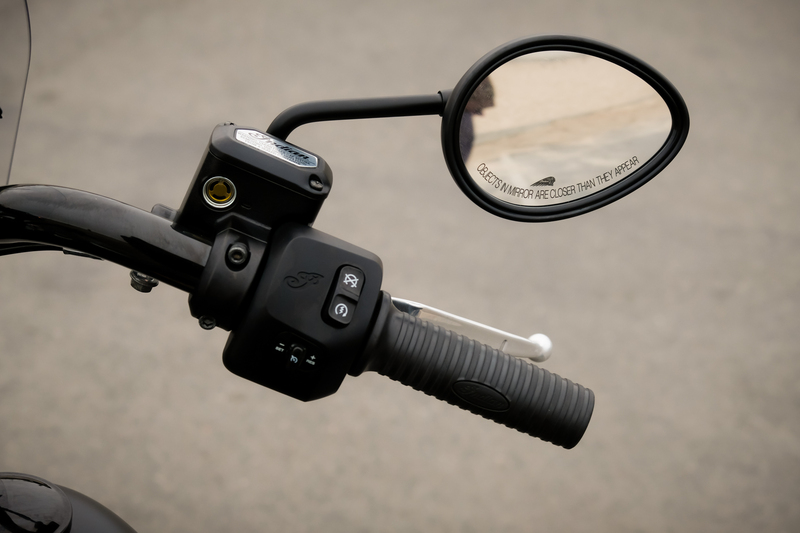 I thoroughly enjoyed riding each of them, and I’ve come to understand why so many Americans embrace them for what are: motorcycles that incorporate many of the creature comforts we find in our day-to-day automobiles. They’re fairly easy to ride once they get moving, and there’s a low intimidation factor because they’re not built to be eyeball bleeding, adrenaline-inducing performance level machines. And that’s their allure. 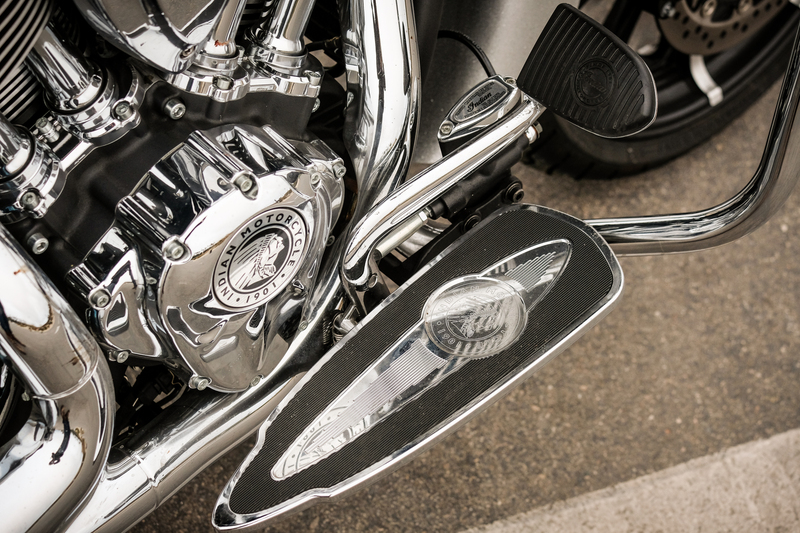 If you need to knock out a thousand miles in pure comfort, here’s your iron horse. Would I ever buy one, though? Not today. I still think an adventure motorcycle is a vastly superior package that suits my style of riding, even if it doesn't look as classically cool. But who knows, I’m still a young man and there may come a time when all I care to do is cruise leisurely along the highway, with Mr. Santana dialed up to 11 announcing my arrival to everyone in earshot. Powerful, precise, fast, and comfortable, this bike legitimately checks all the boxes. Is a BMW made in India still a BMW? 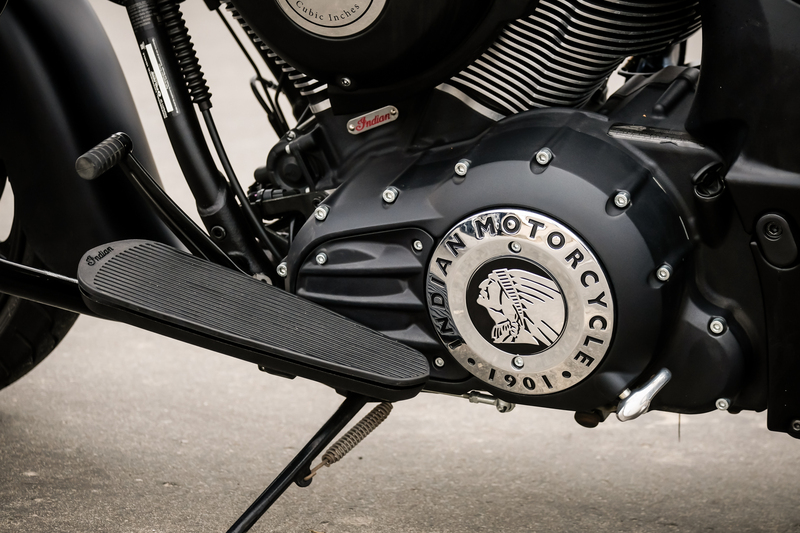 Indian Motorcycle gives us a friendly reminder that it builds engines in Wisconsin.